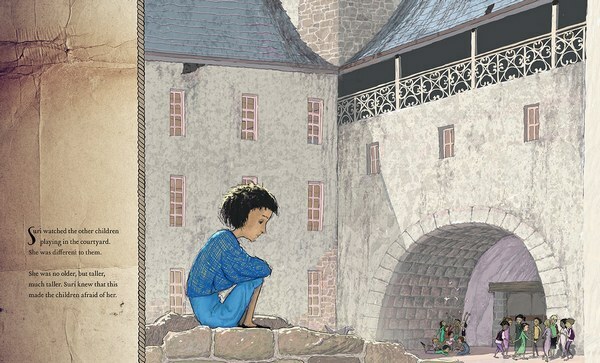 A picture book that truly transports you to another place, whether real or imagined, means that the author and illustrator are doing their job. So when a story about story-telling comes along, meshing places that may very well exist, as well as showing you places you’ve only dreamed of, it’s a wonderful thing. 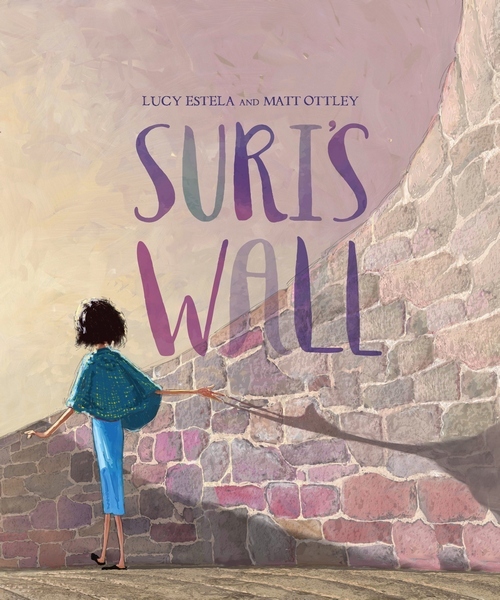 Suri’s Wall, written by Lucy Estela and illustrated by Matt Ottley, is the story of a girl, Suri, living a lonely existence in a compound that we come to understand is protecting her from a war-torn city. Suri is distinguished by her height (she towers over the other children), something that makes her feel self-conscious and uncomfortable. 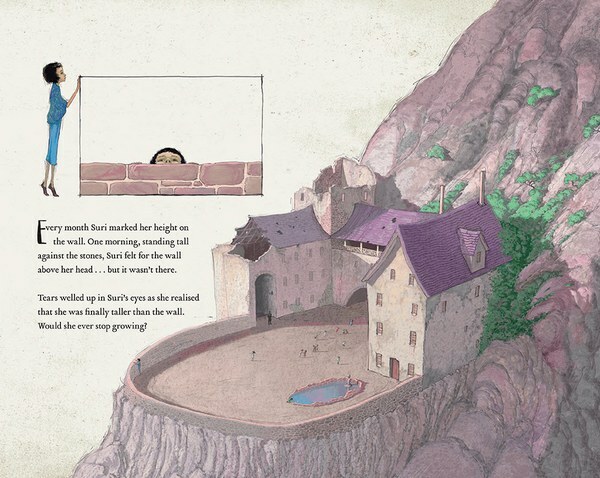 However, that changes the day she realises that she can see over the wall that surrounds the compound. Soon she has an eager audience of children, desperate to hear what lies beyond the wall. Suri paints vivid pictures of magical kingdoms, golden bridges, majestic ships, shady forests and a circus coming to town. Illustrating the power of imagination, both figuratively and literally, Suri’s Wall has a subtle but beautiful message about the importance of hope and friendship. Estela’s words and Ottley’s illustrations are a perfect match, with pages depicting Suri’s darker moments in washed browns, purples and greys. In stark contrast, the scenes in Suri’s imagination are crammed with colour – lush, double-page spreads filled with intricate landscapes, animals, ships and colourful tents. Notably, Suri’s dreamscapes are without words, letting the reader add their own element to the story. Find Suri’s Wall in all good stores or online at Readings.